Fire four solenoids, spin two DC motors or step one bi-polar or uni-polar stepper with 1.2A per channel (3A peak) using the TB6612. 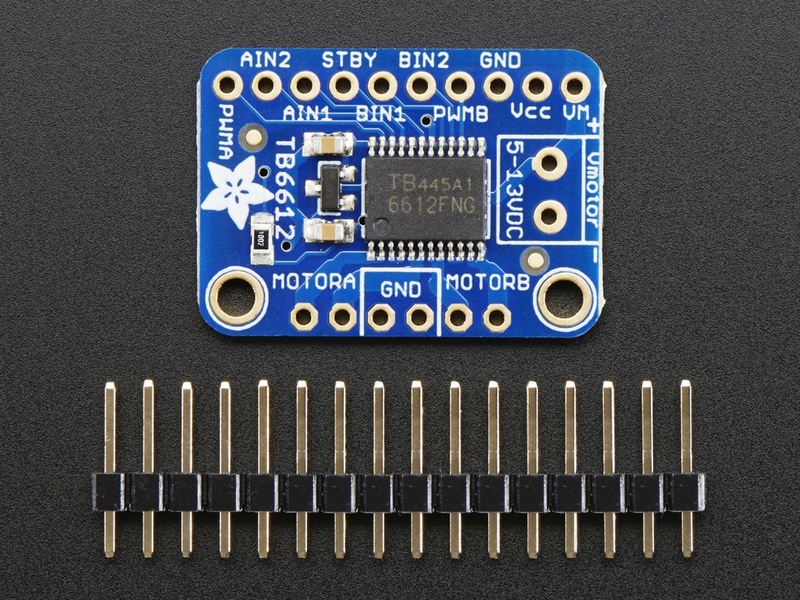 These are perhaps better known as "the drivers in our assembled Adafruit Motorshield or Motor HAT." 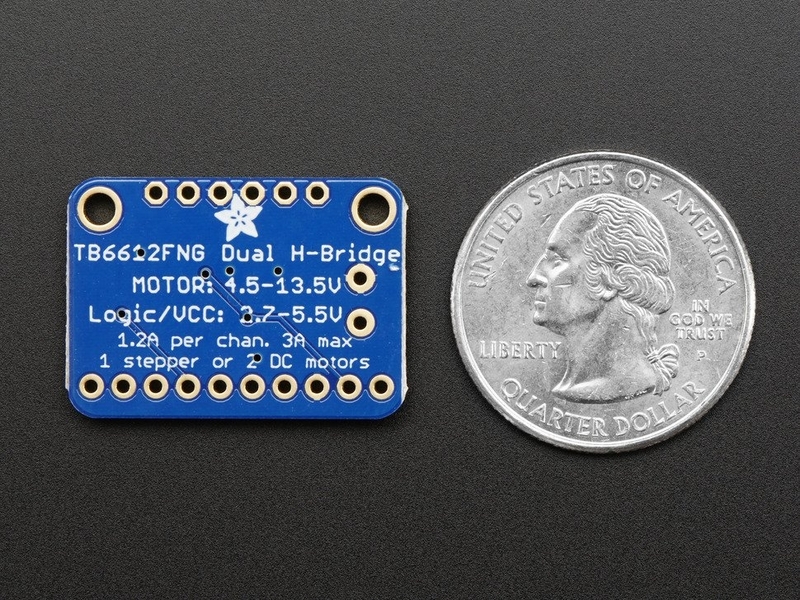 We really like these dual H-bridges, so if you want to control motors without a shield or HAT these are easy to include on any solderless breadboard or perma-proto. 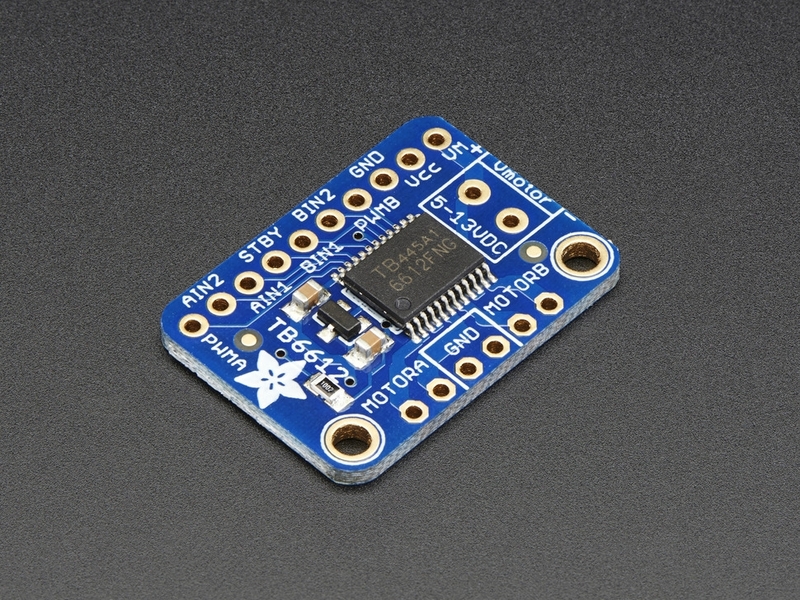 We solder on TB6612 onto a breakout board for you here, with a polarity protection FET on the motor voltage input and a pullup on the "standby" enable pin. Each breakout chip contains two full H-bridges (four half H-bridges). 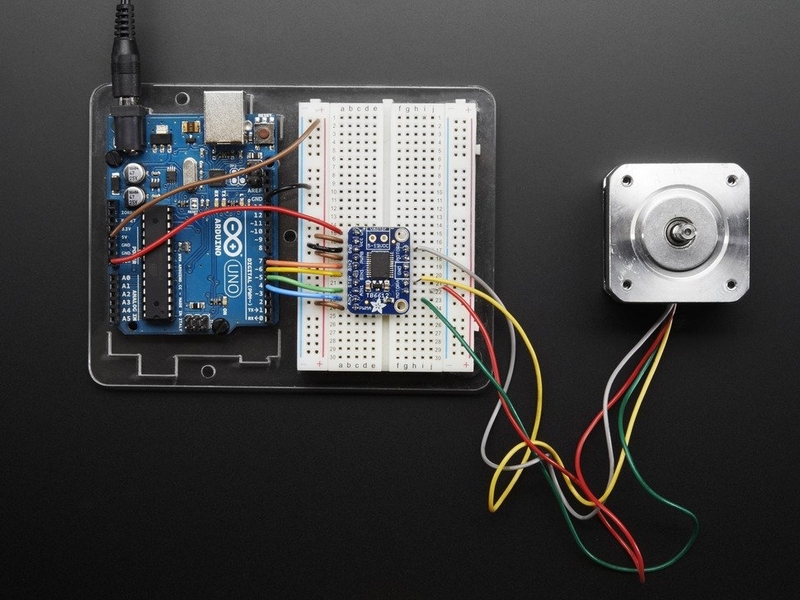 That means you can drive four solenoids, two DC motors bi-directionally, or one stepper motor. Just make sure they're good for 1.2 Amp or less of current, since that's the limit of this chip. They do handle a peak of 3A but that's just for a short amount of time. What we like most about this particular driver is that it comes with built in kick-back diodes internally so you dont have to worry about the inductive kick damaging your project or driver! There's two digital inputs per H-bridge (one for each half of the bridge) as well as a PWM input per driver so you can control motor speed. Runs at 2.7V-5V logic. The motor voltage is separate from the logic voltage. Good for motor voltages from 4.5V up to 13.5V! This wont work well for 3V motors. Comes as one assembled and tested breakout plus a small strip of header. You'll need to do some light soldering to attach the header onto the breakout PCB. Arduino, motors, and power supply not included. Check out our handy tutorial on assembly and wiring! 27mm x 19mm x 3mm / 1.1" x 0.7" x 0.1"